It’s no secret that Los Angeles sits upon a seismically active stretch of land. But, new research suggests human activity in the region may have made things much, much worse. 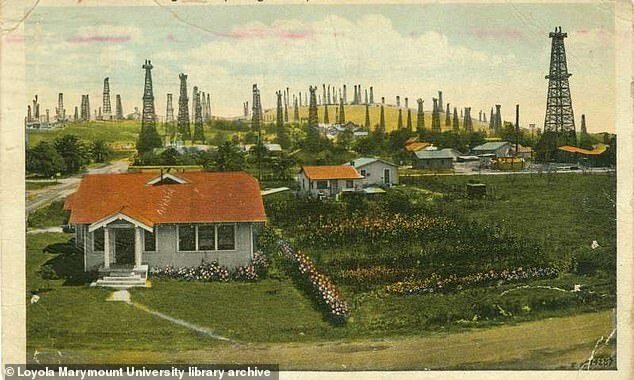 A new investigation into LA’s oil pumping history suggests the activity may have been responsible for as many as half of the mid-sized earthquakes that hit the region in the early 20th century, according to the LA Times. ‘The LA Basin could be a generally safer place for natural earthquakes than what we’ve estimated,’ lead author Susan Hough, a geophysicist at the US Geological Survey in Pasadena, told the LA Times. While earthquake activity for moderate tremors spiked between 1935 and 1944, with about one magnitude 4.4 to 5.1 quake every two years, this rate dropped significantly after 1945. In a report published in the American Geophysical Union’s Journal of Geophysical Research: Solid Earth at the end of last year, researchers re-examined historical data on earthquake damage in the LA Basin. Building off of this information, they were able to refine earthquake locations identified by early sensors that began monitoring the region in 1932. 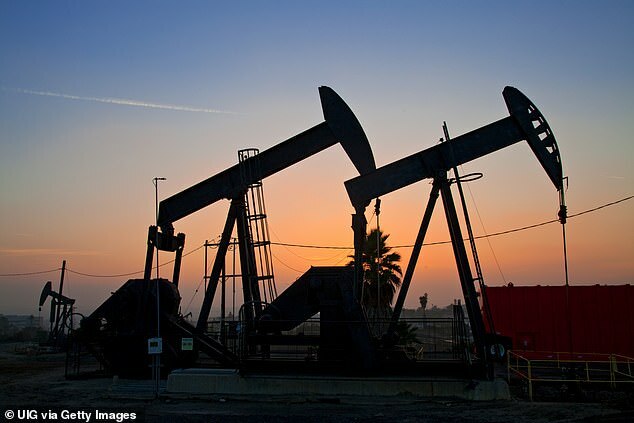 According to the researchers, many of the quakes during the time took place near active oil fields. ‘All these little earthquakes happened in the 1930s,’ said Roger Bilham, a geologist at the University of Colorado Boulder and an author of the study, said when at the time it was published. Prior to the 1950s, oil companies were readily sinking wells and drilling deep into active faults to pull oil from the ground, the researchers say. And, earthquakes often followed within a few months of well expansion below 1.9 miles. In the late 1950s, oil companies began using water-flooding wells to recover oil, which balanced out the volume and reduced quake activity. 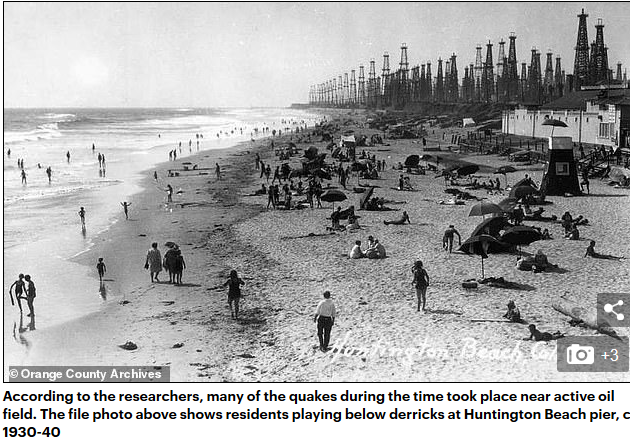 As the researchers explain, though, oil pumping didn’t necessarily make earthquakes come out of thin air. Instead, they simply sped up a process that was already underway. ‘These earthquakes that we modelled probably would have happened in the next few hundred years anyway.